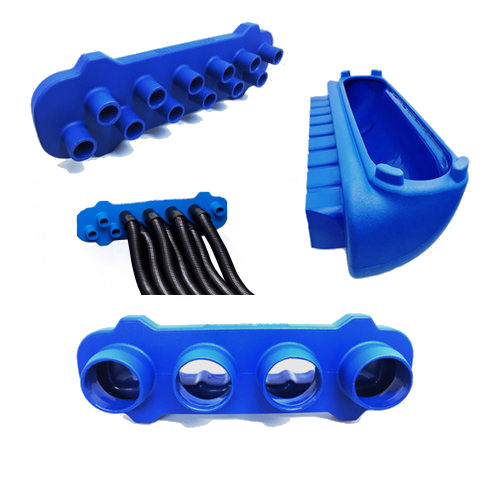 These adaptors attach to the DBK Boost Bar to facilitate a faster drying process in different areas. Simply slide the adaptor in to either side of the Drymatic Boost Bar and either allow the air to flow in the direction of choice or attach layflat ducting to the connector and take the air up into a ceiling void or a different area of the structure. When drying crawlspace or subfloor areas the airflow can be channeled downwards into the drying chamber. Simply remove a section of the floor or subfloor and place the unit so that the air is channeled down through the opening.